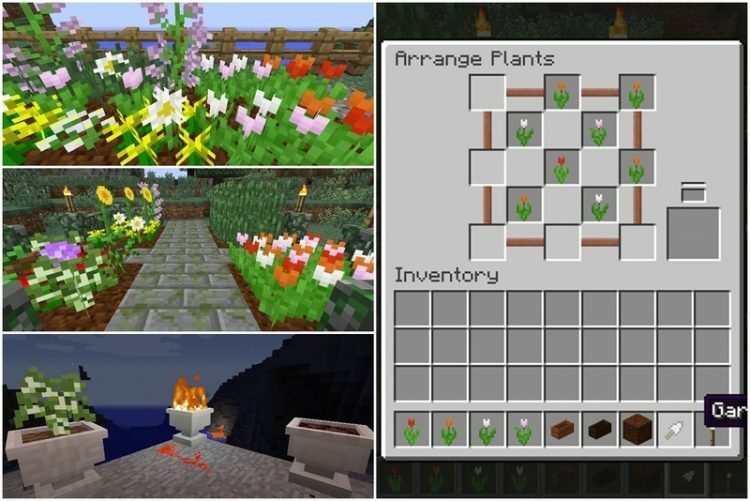 Garden Stuff Mod 1.12.2/1.11.2 for Minecraft is a collection of items and blocks related to the cultivation and decoration of your green garden. Mod will have 3 main sections (3 smaller mods), each has its own function. The first part is the Garden Core, which acts as a core mod for other mods to run (no new items or blocks are added). 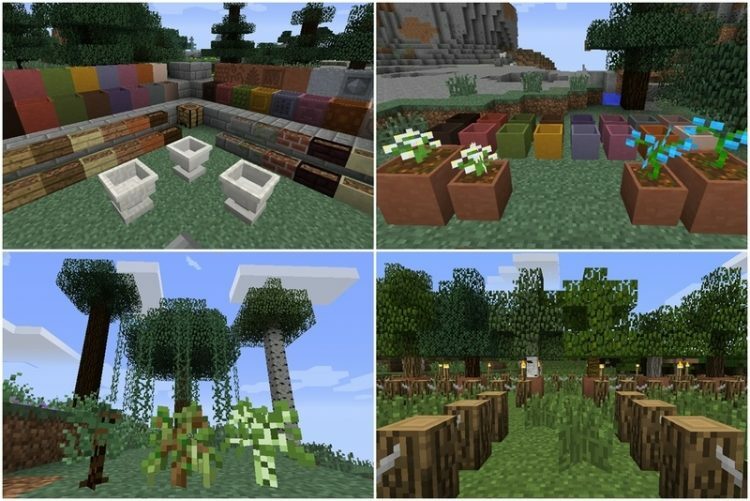 The second section of the mod is the Garden Containers, featuring a variety of flower pots divided into different “levels” such as small pots, medium pots, luxury pots… and they are of course to be used in growing flowers. 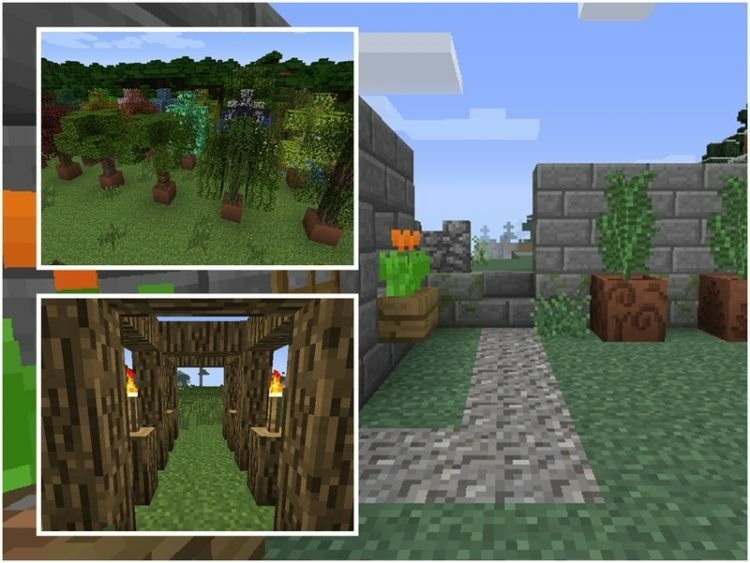 Finally, the Garden Trees, in which you will be able to grow the seedlings collected from the forest, later they will grow into a “more compact” version of the original trees. In addition, mod also adds into the game special decoration blocks with unique styles for you to freely decorate the gardens. 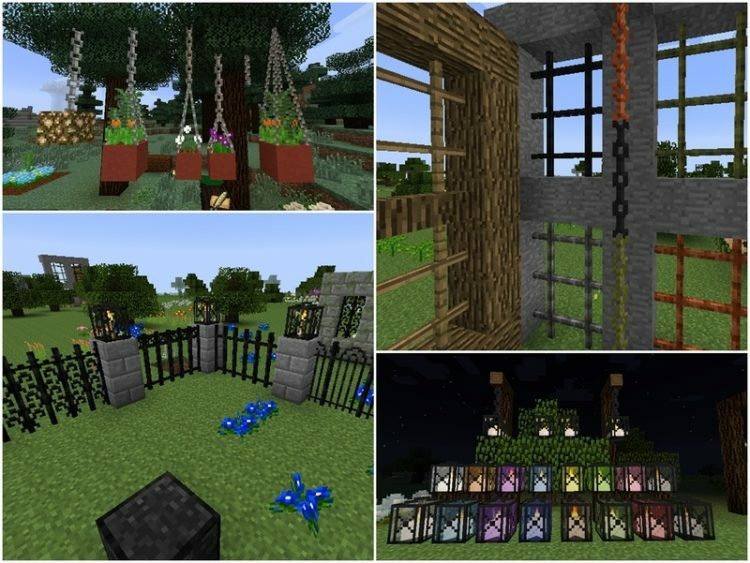 You can download the latest version of the Garden Stuff Mod from the link below and follow the instruction to install. Do not forget to check if the mod needs any additional mod to run. Happy gaming! Download Forge Installer, Garden Stuff.jar file.